Whangaroa Heaven is a loved kiwi bach overlooking the beautiful Whangaroa Harbour. The bach has warmth, character, kauri floors, spectacular views to die for, large decks and all day sun. Whangaroa is one of the most peaceful, beautiful and enjoyed harbours in the north with big game fishing, fun fishing, harbour cruises, diving experiences, relaxed walks for the views and much more. Our Whangaroa Heaven bach is just 2 minutes walk to the game fishing lodge for dinner, local for a beverage and with the general store at the bottom of the road. 10 minutes drive to the beautiful Tauranga Bay Beach, 20 minutes to KeriKeri for trendy shopping and luxury cafes. Linen and towels provided on request. Small house dogs only with prior approval. 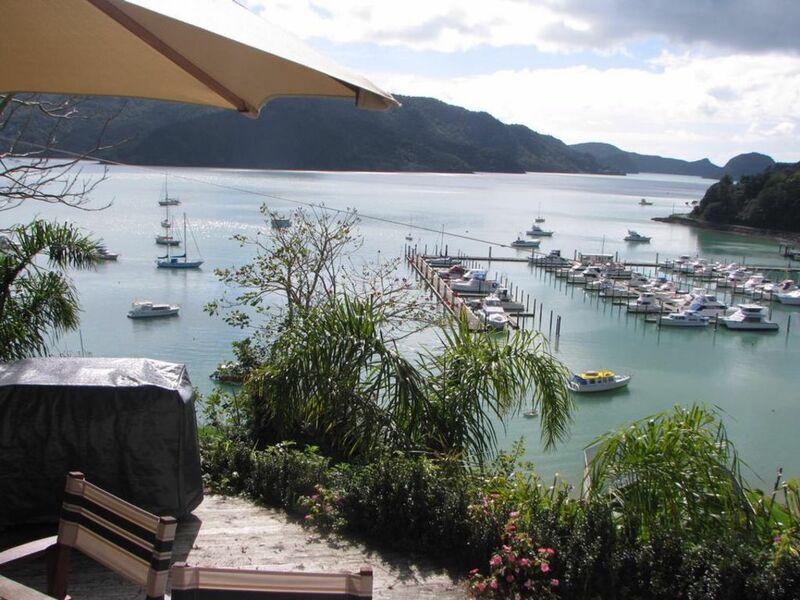 Stunning views overlooking the beautiful Whangaroa Harbour. Found the bach had everything we needed. Very comfy and wow what a view. Definitely keen to stay again! Great to communicate with. Was very respectful and left the property beautifully clean and tidy. Much appreciated and can stay anytime. Great locality. Driveway was just a bit steep for our boat. Would recommend. Great view and close to everything.Had boat moored at marina so a perfect combination. If taking a boat then u need to get a berth at marina. You will be able to see it from the house. Great deck areas and plenty of sun. Great people to have stay. They were good to communicate with and respected the bach well. Many thanks! This was our second time at this bach. There are not many places that except our four legged friends to accompany us on vacation. That is one of the reasons we stay at this bach. Apart from that, the property has a beautiful view of the harbour, and it is central to many beautiful beaches, Tauranga Bay, Matauri Bay and further North to Doubtless Bay. We went up as far as Matai Bay. We will go there again.